“For buyers looking to live in their homes for a longer period of time, the details provided in a home inspection are the most reliable way to avoid homes that require major repairs,” said Jeff Arnold, executive director of ASHI. When you hire me, I become your advocate. Buying a home is one of the largest investments any of us make. I appreciate the trust you place with me and I take that responsibility seriously. I will inspect your future home as if I were purchasing it for my family. "A home inspection from a properly certified inspector is an essential planning tool for those looking to put their house on the market…” said Claude Lawrenson, chair of the Canadian based National Home Inspector Certification Council. “An inspection helps sellers identify and address any potential 'deal-breaker' issues with their homes. It also gives the property an added indicator of quality, which can give both buyers and sellers an added level of confidence in the value of the home." Having a Pre-Listing Home Inspection can help you avoid time consuming repairs and treatments, which may prolong the selling process. "Most lenders, when financing the purchase of a home, will require a certificate from a licensed termite inspection company that verifies that there is no active termite infestation on the property..." says Judy Starliper, Realty Executives. When you purchase a 'Texas Official WDI (Termite) Report' with Reality Check Inspections; and the report is clear with no conducive conditions, you will also get a one year warranty. This means that if termites make your home theirs within that year, Chuck will come out and treat them for free. “Having your home professionally inspected by someone who has years of experience with new home construction provides you with one last opportunity to cause the builder to make repairs to your home before the builder’s obligation to repair has expired" says Mark Eberwine, Inspector. Builders typically provide their new homes, a one or two year warranty against construction defects and other issues. It is up to the buyer to ask the builder for needed repairs. Often times it is advisable for the home owner to document these problems and make sure the builder performs the repairs properly. A New Home Warranty Inspection can help you and your builder identify and repair these issues. "Proper inspection of a home… provides buyers with a detailed report of the visual physical structure and systems of a house, from the roof to the foundation. Their report should identify the need for major repairs and possible safety issues," said Jeff Arnold executive director of ASHI. Condo and Townhouse Inspections are performed to the same high standards as our single family home inspections, but with several important differences. We generally do not have access to the roof and have only limited access to the foundation areas. The maintenance and upkeep of these and the common areas are usually the responsibility of the Home Owners Association. 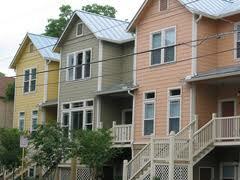 The interior structure as well as the electrical and plumbing items are inspected as with any home. "Certification from an accredited, independent certifying organization provides assurance that the inspector's assessment is valid and provides the information needed to consider the costs of repairs and the subsequent effect on the property value," said Claude Lawrenson. Investor and Foreclosure Inspections can pose a different set of challenges. Very often the property's utilities have been off and the house has been vacant for several months or longer. It is then especially important to hire the most experienced Inspector you can find. To perform the most complete inspection possible, the water, gas and electricity should be on. This is sometimes not practical or it may not be possible, if the plumbing or electrical systems are damaged or missing. "The home inspection is arguably the most important step in buying a historic home as these homes may require extensive repairs and improvements to bring them up to modern-day building codes..." from Historical-Home.com. 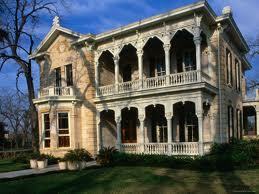 Historic Homes found here in South Texas are beautiful, one of a kind properties. When they are properly restored and maintained they can be as comfortable and safe as any new home built today. If the restoration or maintenance was not done correctly, you could be buying into a very expensive Money Pit. Back in their day these homes were constructed with top rate craftsmanship, materials and state of the art technology; but by today's standards these same major systems can be old, outdated and potentially unsafe. You need a very experienced home inspector to evaluate a historic home. Call for Your 2 Minute Quote!